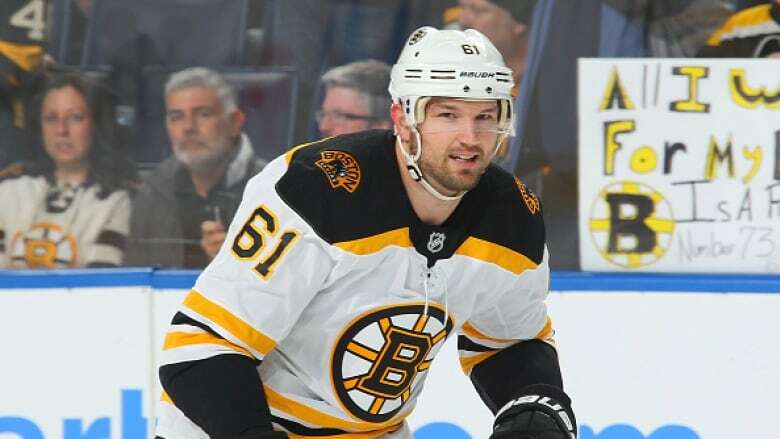 The Boston Bruins continued solidifying their playoff push Sunday by acquiring forward Rick Nash in a multiplayer trade with the New York Rangers. As well as the Boston Bruins have been playing, general manager Don Sweeney wasn't going to pass up an opportunity to make them better. And bigger. At 6-foot-4, Nash provides Boston an established power forward to fill out their second line centred by David Krejci. And the 33-year-old Nash, who has topped 30 goals in eight of his 15 seasons, also adds an offensive dimension to a team that has leaned heavily on its top line, which has combined to score 73 of Boston's 191 goals this season. Boston began the day with the Eastern Conference's third-best record in preparing to close a five-game road swing at Buffalo. Nash arrived in time to make his Bruins' debut.